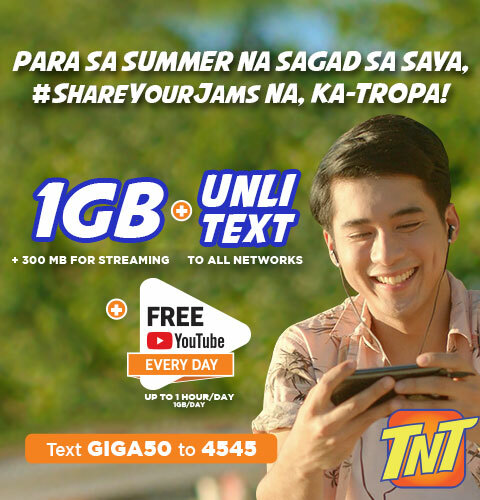 Enjoy your daily YouTube streaming in TNT GIGASURF50 promo which now loaded with 1GB Data and FREE 300MB for your YouTube streaming. You can also enjoy the unlimited text to all networks good for 3 days for P50. You can avail this by texting GIGA50 send it to 4545. See details below. PASADATA 09120123456 200MB, then send to 808.